The children are all waving to Mrs Skilton to help her get better! As you know, Mrs Skilton was involved in a serious motorbike accident on Sunday, along with her husband, and they both remain in hospital in London. In her absence, Mrs Skilton has requested that Mr Gannon should take charge of the school for the time being. All governors are aware and are supporting the full teaching team as needed. Everything has run very smoothly in school this week, with the SATs all taking place as planned, and the whole school team has really pulled together and gone the extra mile. 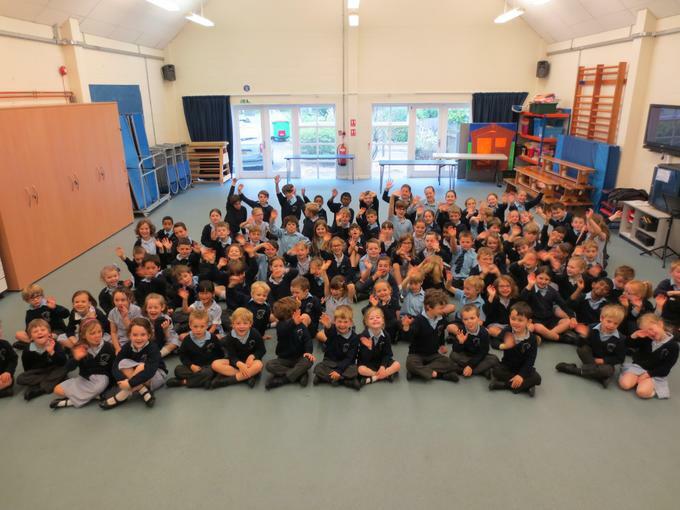 Kent County Council education department and the Diocese of Canterbury education department have both been informed, and are providing full support as necessary. Once we have more information about Mrs Skilton's recovery period we'll update you on this, and on-going plans to best cover her role until her return, in order for there to be no disruption to the school and the children. I'm sure you will join us in wishing Mrs Skilton and her husband a speedy recovery, and will do everything you can to help us keep the school running smoothly in her absence.